Time-wasting activities, distractions, interruptions all can send your day out of control. You feel run-down & exhausted at the end of the day with little progress to show. Be proactive with productive plans & actions rather than reacting to non-productive time consumers. Control your day by doing things that accomplish what needs to be done. 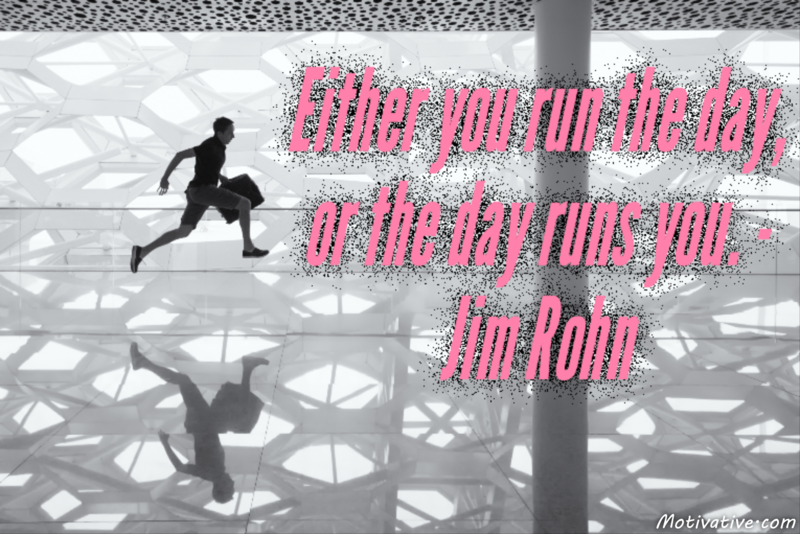 Be in charge of your day… every day.